In past years, the EAT! 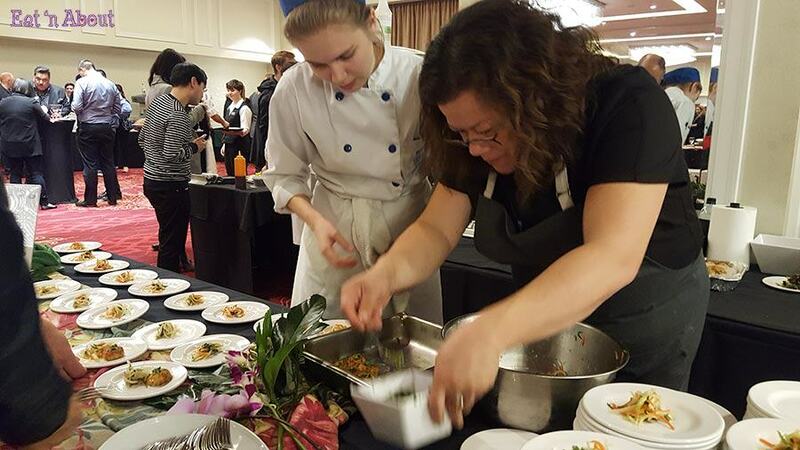 Vancouver festival had ended with one big hoopla at BC Place with food, beverage and cooking exhibits all at one place, at one time. I attended one in 2014. 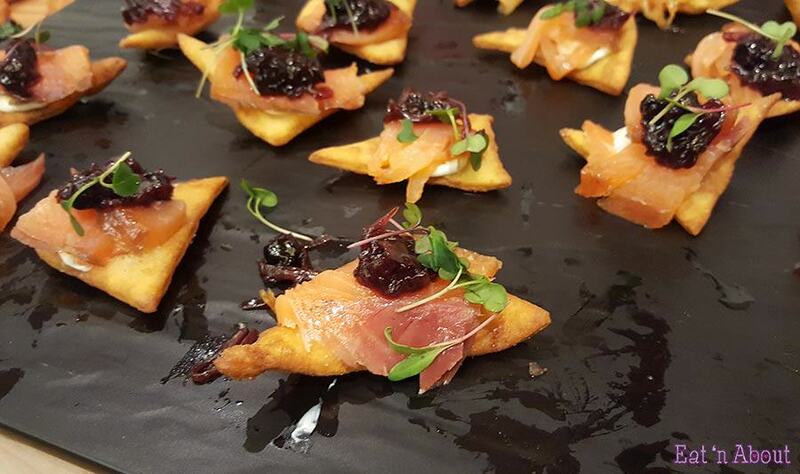 In the last two years, the festival had been split into 4 series of events- EAT! 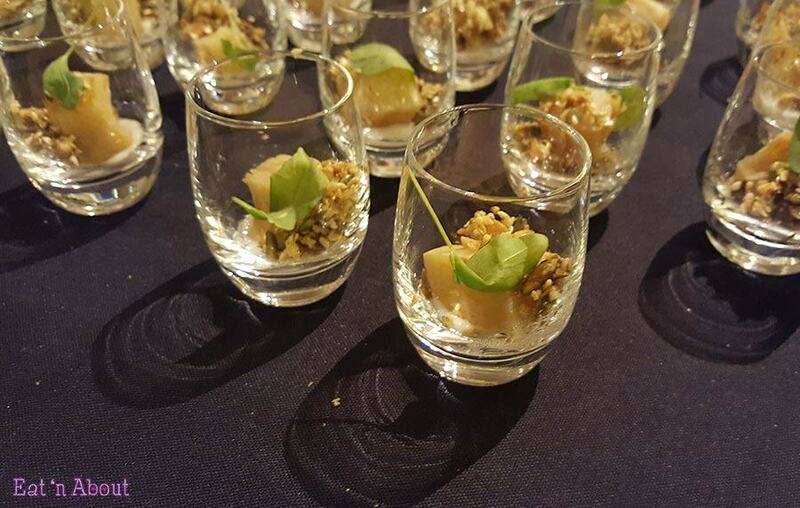 Dinner series, a collaborative dinner event at select restaurants around town; EAT! 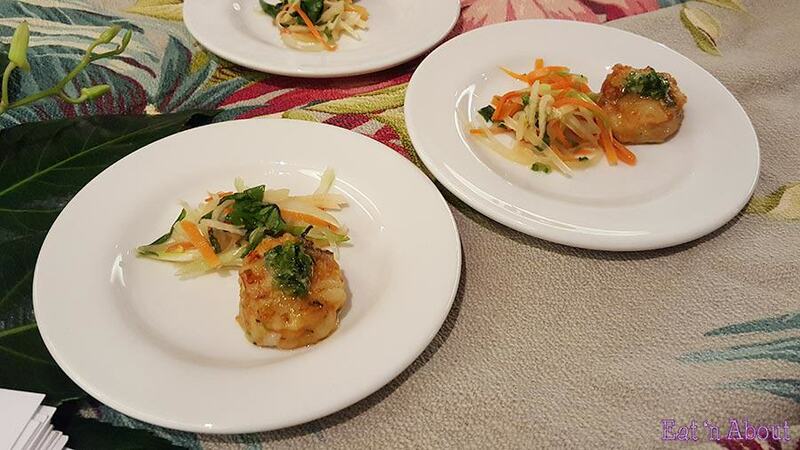 Expert Classes, taught by local favorites; leading up to EAT! Harvest and EAT! Pastry. 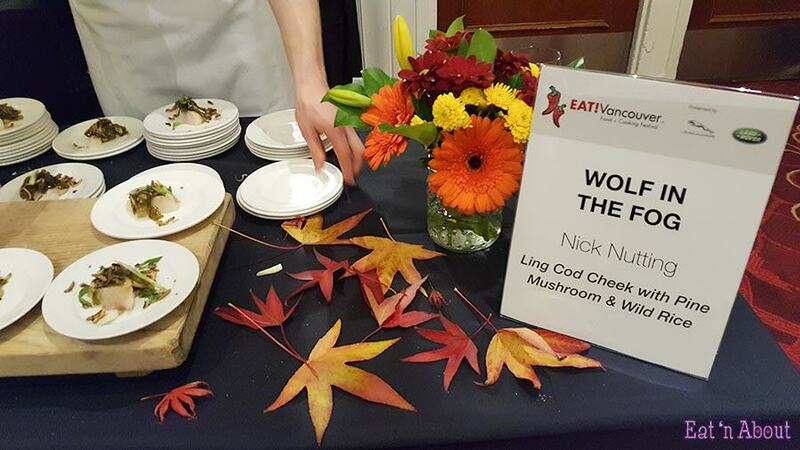 I had to opportunity to attend EAT! Harvest this year! EAT! 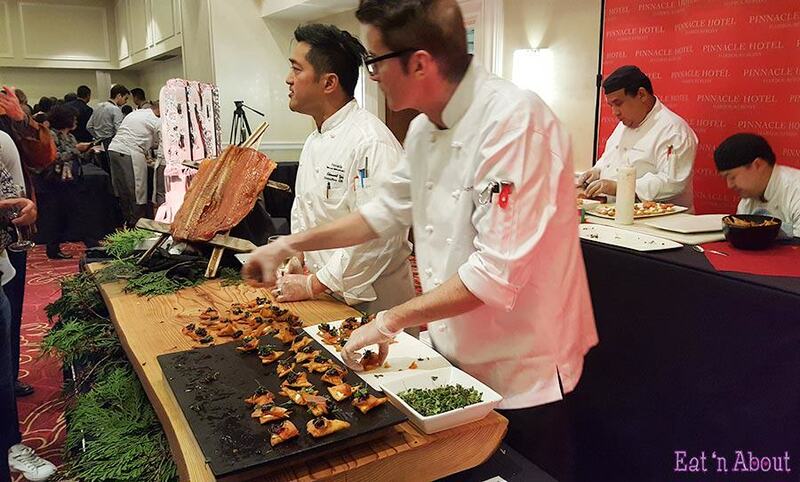 Harvest was held at the Pinnacle Harbourfront Hotel with 18 esteemed chefs serving up bite-sized creations! 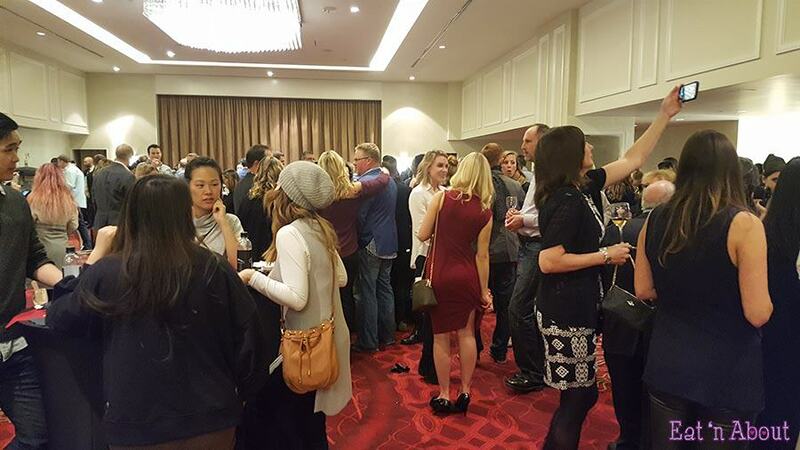 It was a great opportunity to actually meet the chefs behind some of your local restaurants…and a few from afar! All proceeds this year supported Project Chef. Let’s dive into some highlights of the event! 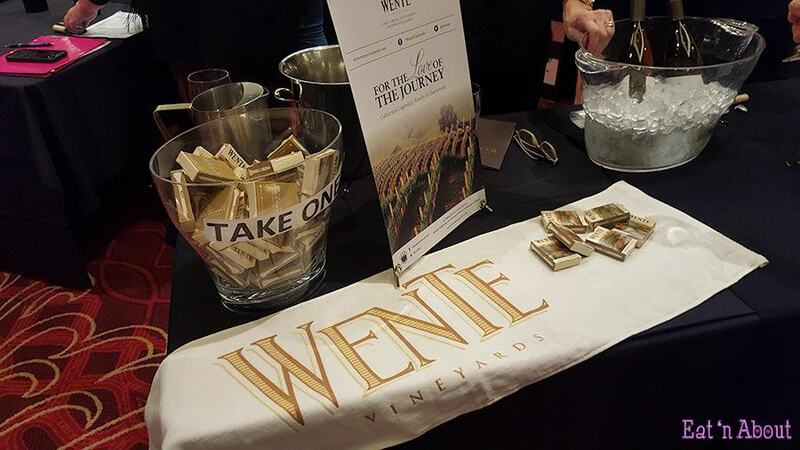 Wente Vineyards was amongst the six California Wine exhibitors. Nicole Gomes of Top Chef fame was onsite offering her famous Thai Prawn Cake from Nicole Gourmet. It was really good, served warm, and the shrimp had that fresh bounce to them. 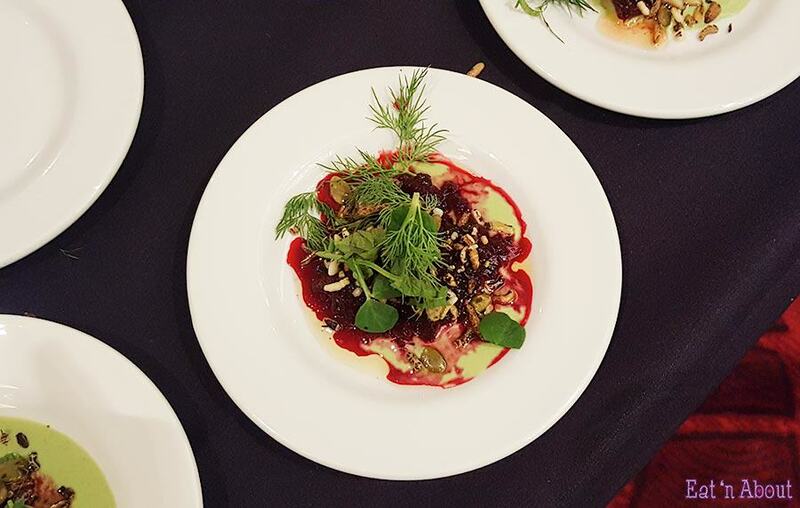 Trevor Bird also of Top Chef fame was also there with his Charred Beet with Puffed Rice and Creme Fraiche. 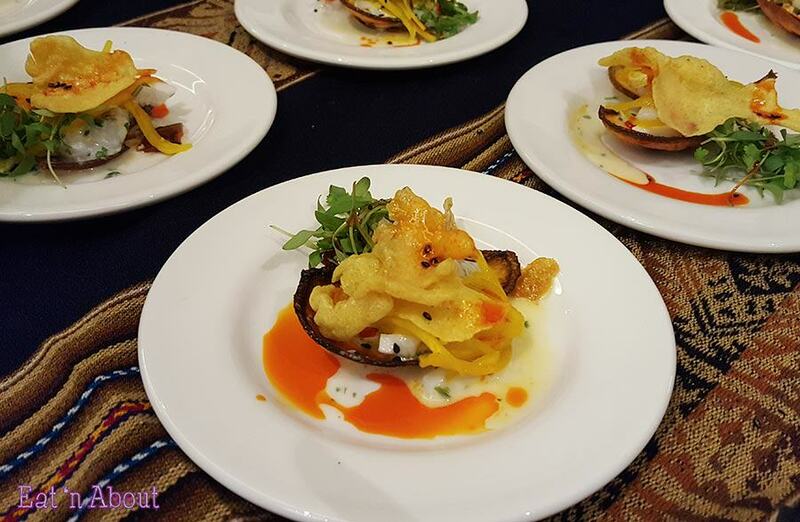 Chef Shelome Bouvette and her Coconut Scallop Ceviche served with a rice chip on top and taro chip on the bottom. This was quite coconutty and overshadowed the scallops a bit. 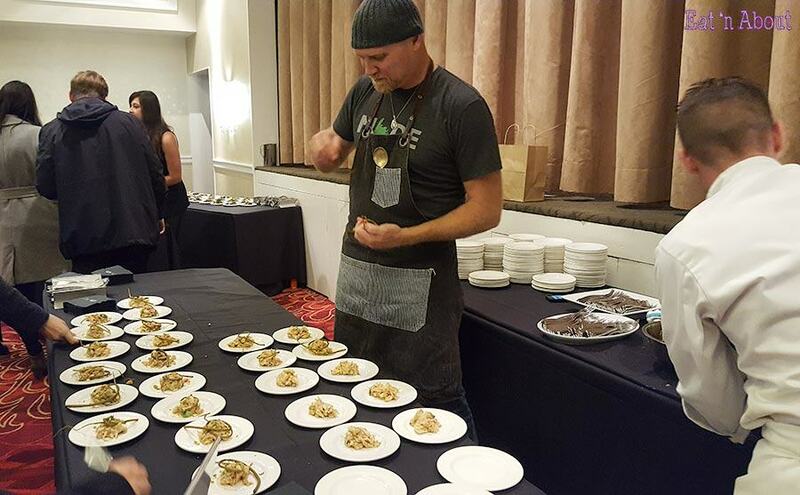 Chef Todd Perrin, who hails from all the way from Newfoundland and also of Top Chef fame, served us a Cod Cheek Escabeche. 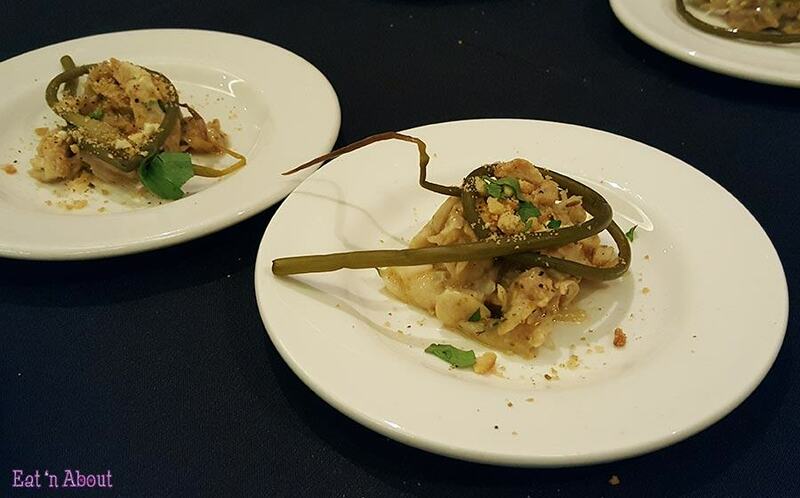 Everything was yummy except the pickled garlic scape…which was tough and I wasn’t able to chew through it. 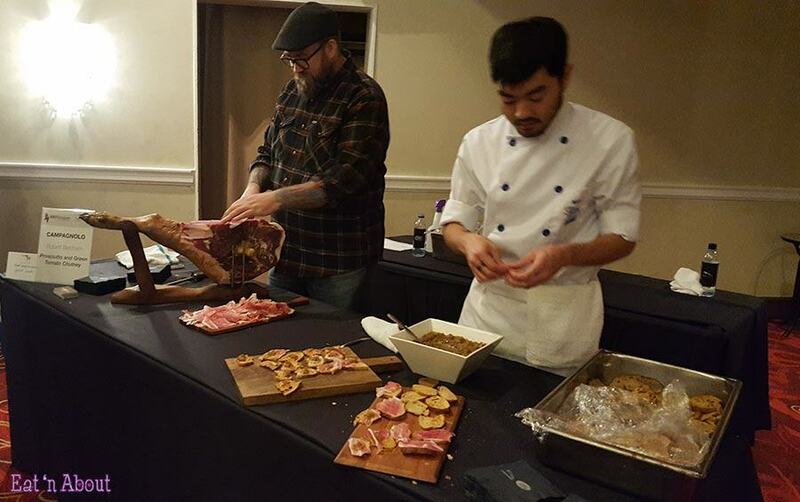 Campagnolo cures their own hams, salamis, and prosciutto! 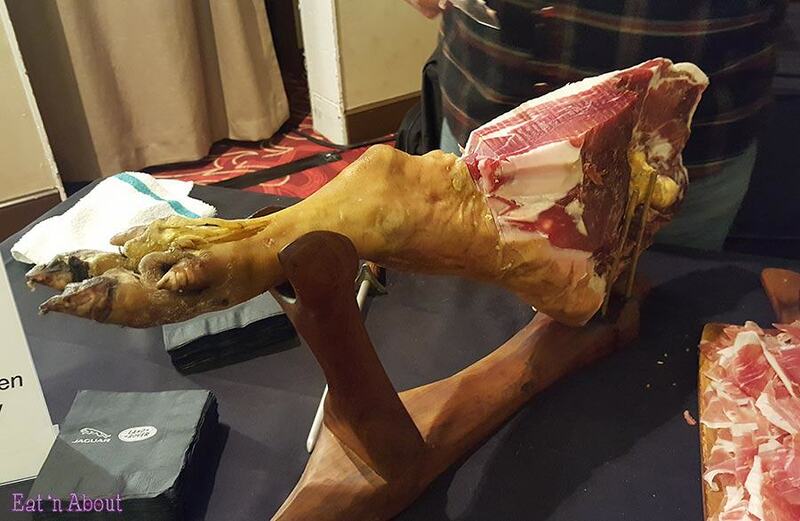 This beautiful leg is from them! 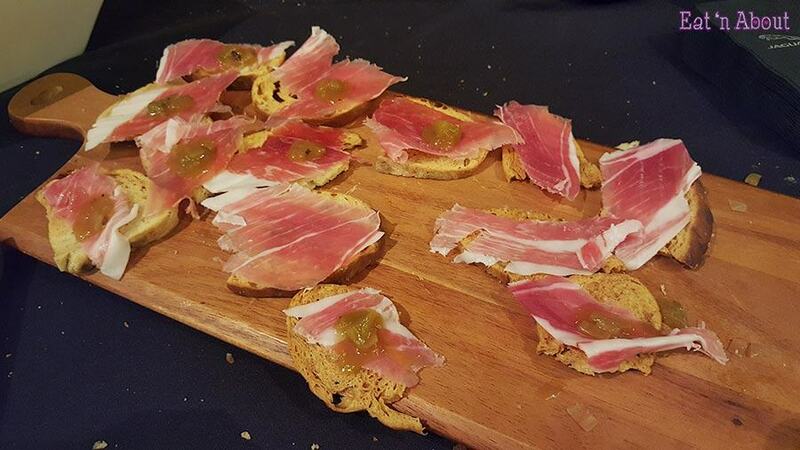 Chef Robert Belcham carves up and serves the prosciutto with a green tomato chutney. Chef Edmund Lee of the Pinnacle Harbourfront Hotel (sponsors of EAT! 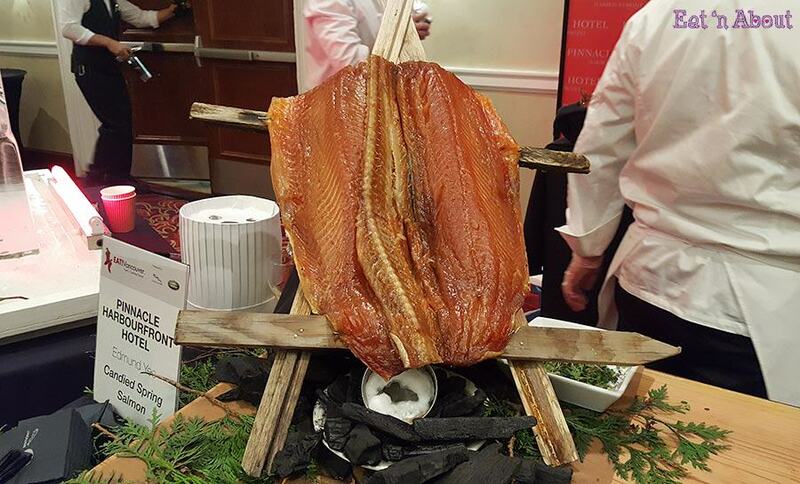 Vancouver) and his Candied Spring Salmon. I got so busy talking to chef Nick Nutting of Wolf in the Fog about my recent visit to his restaurant in Tofino, that I forgot to take a picture of the plate itself! It was really good and fresh! 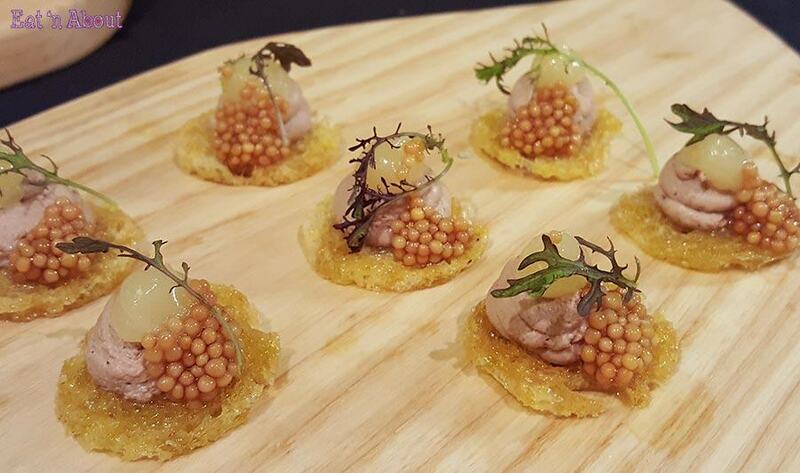 My favorite of the night though was the Duck Liver Pate with Apple Gel and Pickled Mustard Seeds on Sourdough from Mike Robbins of AnnaLena! It was so creamy and flavorful and rich, and displayed so beautifully! Angus An of Maenam is always a favorite. 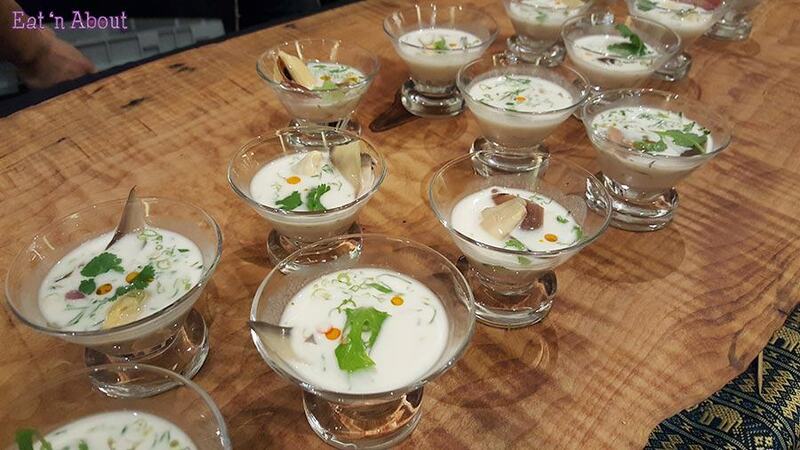 He was serving mini glasses of Mussel and Coconut Soup. 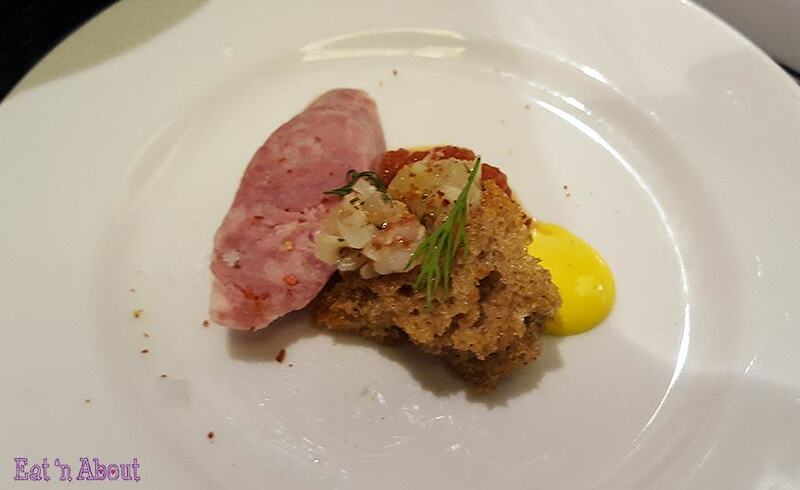 Chef Lucais Syme’s Shrimp and Lamb Sausage. It was meh. 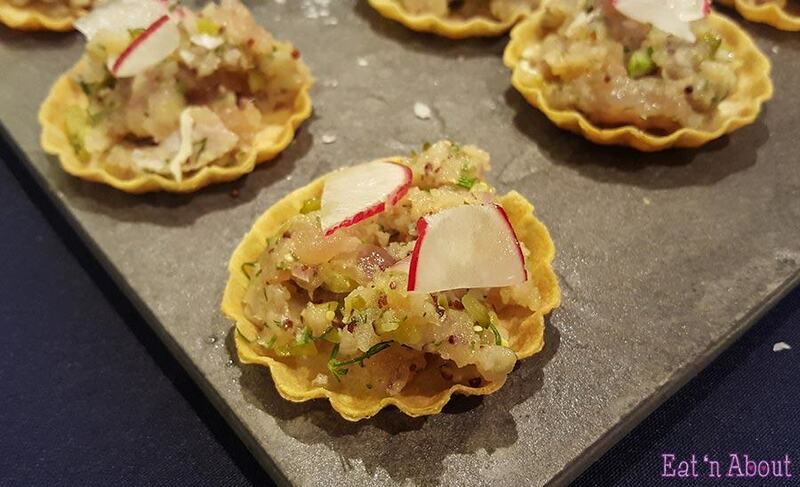 These Cured Tuna Tartes from Jeff Kang were so cute to look at and yummy to boot! 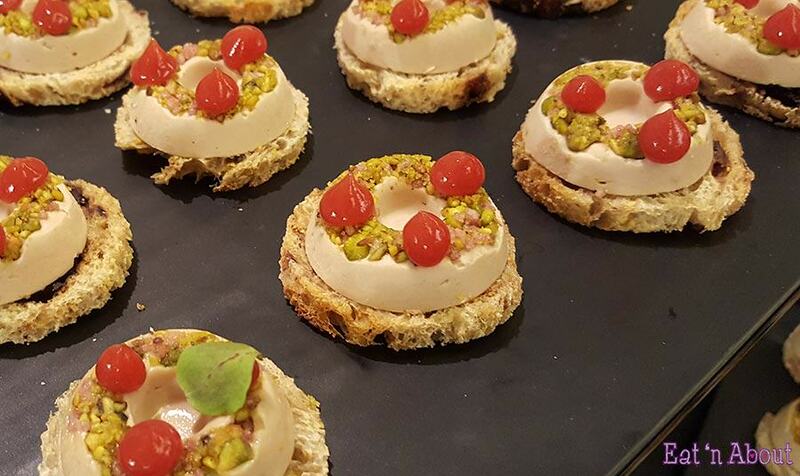 These Duck Liver Pates from tasteUS looked like mini Christmas wreaths! The pate was a light airy foam and I downed two. I think the pate dishes were my favorite. 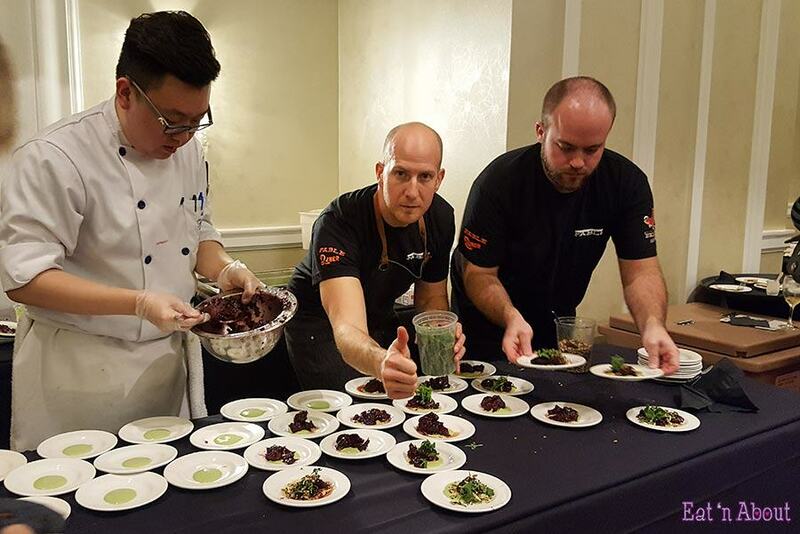 I was really confused with chef Amanda Cohen’s “Shanghai Shoots with Fermented Black Bean Bagna Cuada“. 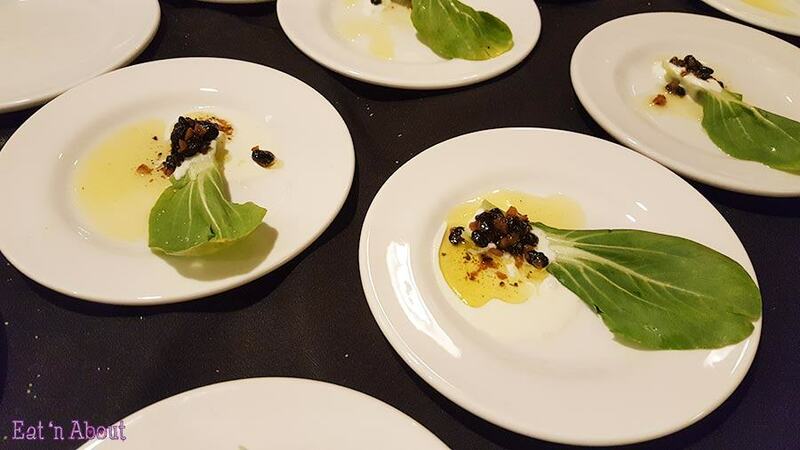 It was just raw bok choy with a bit of what tasted like Chinese black bean sauce on top, with oil. It wasn’t interesting at all and I felt like no effort was put in at all. Wasn’t expecting this from chef Makoto Ono as I’ve heard so much about Mak N Ming. 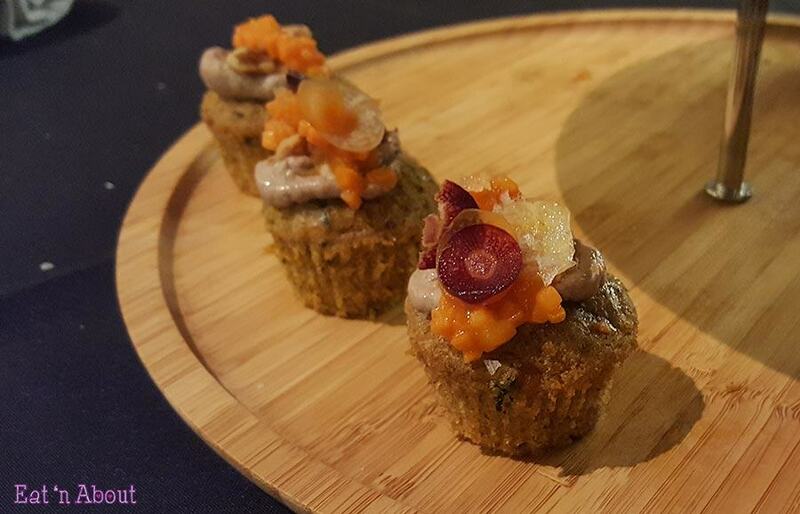 These were a sweet and savory mini cupcake of deliciousness, and I’m sure the liver pate helped a LOT. The cake base was like a nutmeggy carrot cake. I had 3rds of this. I’m not usually a fan of chocolatey desserts but this beaut was so good! 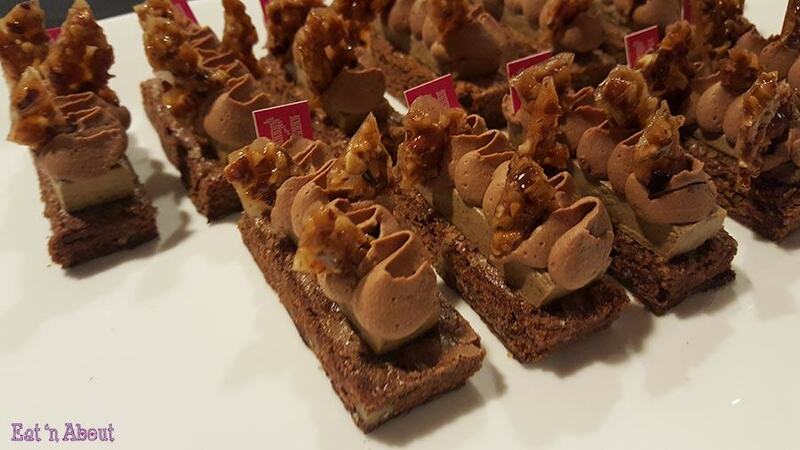 From pastry chef Nadege Mourian of Toronto, the brittle bits on top made everything better! I really enjoyed EAT! Harvest! It was a great night of food and drinks. I think I might try out EAT! Pastry next year! Disclaimer: I received complimentary entry to this event but all opinions are my own.